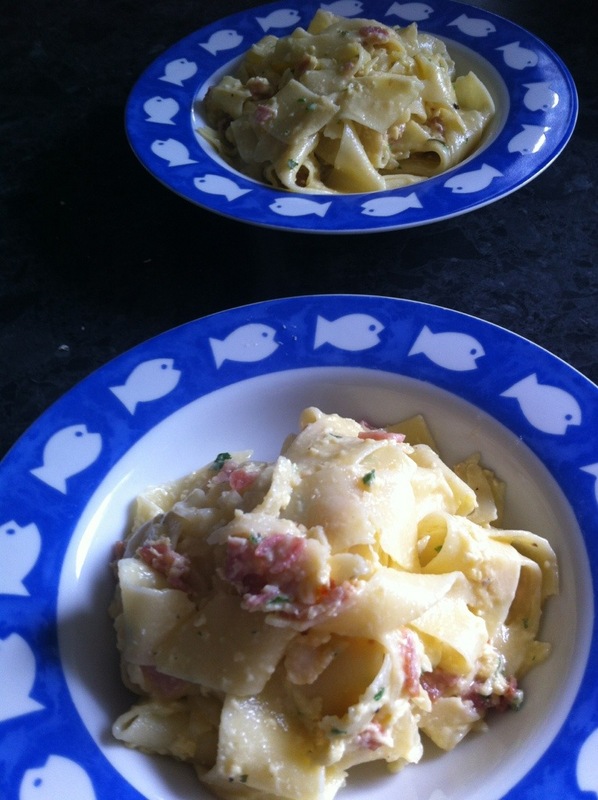 Made bacon carbonara tonight. It’s not gluten free pasta. I’ve had it with gluten free pasta. I figure if I only eat it every now and then it’ll be ok. It was delicious. Nice to eat real pasta for a change.